The first GOP debate following Super Tuesday marked a major turning point for the Republican party and politics in general. Rather than experiencing a more substantial debate in which candidates better fleshed out their policies and electability, a majority of American voters' takeaways from the debate was that frontrunner Donald Trump discussed his genitalia. The Democratic party certainly took notice of the embarrassing performance. In an effort to address the more tasteless sides of the GOP debate, DNC Chairwoman Debbie Wasserman Schultz assured viewers that the Democratic debate won't be NSFW and instead will be appropriate for all ages. Sure, Wasserman Schultz may have been slyly poking fun at what devolved into a cringe-worthy political event for the right but the sheer fact that she felt the need to address it at all points to just how unfortunately inane this election cycle has become. The more offensive portions of the GOP debate ranged from that key exchange between Trump and Rubio to the infighting that has perpetuated within the party. 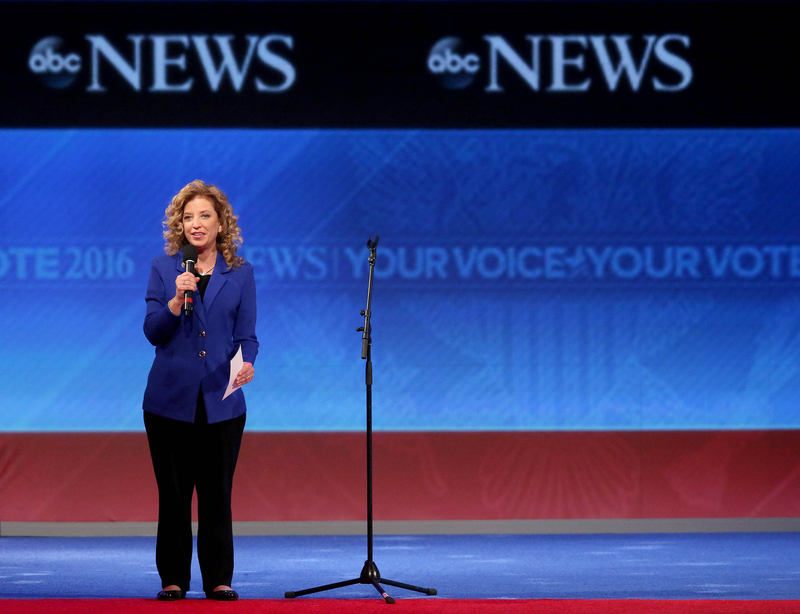 Wasserman Schultz sees no similar issues occurring for the remaining two Democratic candidates, however. For as heated as the exchanges have been between Bernie Sanders and Hillary Clinton, both candidates have maintained a level of respect for one another and similarly pointed out just how unified the left seems in the face of what's occurring on the right. The one thing you won't need is a parental advisory at the opening of our debate. You won't see the discussion descend into vulgarity. You'll hear about ideas that are essential to moving our country forward. The prominent Democrat also spoke out about the ongoing water contamination crisis in Flint, Michigan, where the Sunday evening debate is set to be held. She condemned government oversight of the issue and additionally assured reporters that when candidates take the stage at the University of Michigan in Flint, they'll be spending far more time addressing the crisis than their Republican counterparts. In contrast, the GOP debate offered very few opportunities for candidates to discuss Flint despite the event being held a mere 80 miles away in Detroit. Wasserman Schultz knows the Democrats can do better, which has sadly remained to be seen on the right.